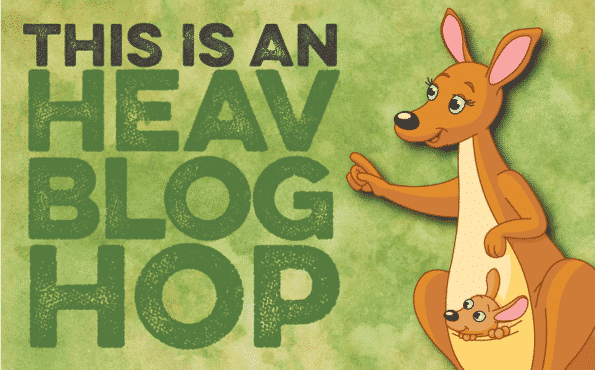 This post was written in conjunction with the HEAV Blog Hop. The topic was “Parenting Lessons Learned” and when you’re done reading this post here at Little Learning Lovies, I hope you’ll follow the hop to read the rest of the posts. If you’re new here today, welcome! I hope you stop for a while and look around. You might like this post, too. In hind sight there are dozens of things I could have, and should have, done. Things including, possibly, persuading her towards a different purchase. At the time I could only think of the fun things she’d do with them. I certainly had no idea that they would become, each of them, their own lesson in patience. Her Kissie Grandma (isn’t that the sweetest name for a grandma?) gave her a gift certificate so she could choose the perfect gift. It took months of looking through the store, wanting literally everything her eyes laid on. At five years old it’s very hard to figure out what you really want vs. what the store really wants to sell you. We talked a lot about it and, while we were away from the store, she finally decided that she did, in fact, think that purchasing that big bead set would be fun. She could make things for her sisters with them. She could sort them, too, she said. And she really thought it might be a lot of fun to pretend that they were people. So off to the store we went to make this very special, carefully thought out purchase. 2,300 pony beads in a case. Do you know how much twenty three hundred really is? Honestly, it didn’t seem like it was such a huge number as they sat there, innocently sorted into their little divided cells in the case. They were a beautiful rainbow of possibility that my daughter and I both admired. The first few weeks saw the case come out quite a few times. She made some lovely things for her sisters and I, even gifting to friends and decorating dolls. Still, after all she had made, the case was quite full. I smiled at how much enjoyment and use she was getting out of them. Then her imagination got the better of us all. As she had mentioned before we purchased them, she began pretending that each little brightly colored bead was a person. She devised parties for them, big, grand affairs and little backyard teas. They had weddings and catastrophic sea voyages, jungle adventures and scientific explorations. She began pouring them into this bag or that box. We’d find them in hats and socks, pockets and rags. And then the predictable happened… She dropped a big bin of them in just the right spot in the house for them to end up in nearly every room. I listened to them bounce and skitter and, with eyes closed, imagined the mess we were faced with. At least they are beads, I reminded myself, not syrup on the living room carpet like a previous child once managed. Beads can be swept. Right? They had bounced into the kitchen, the hall, the bathroom, the dining room, my husbands office, the children’s bedroom, and yes… even down the stairs into the living room. The only room that didn’t have beads in it was our master bedroom and that only escaped because, fortunately, beads haven’t learned to bounce up. They rolled under furniture, behind doors, into laundry, under counters, into corners… Everywhere. We started picking each bead up by hand and then we swept. We swept and we swept and we swept until it seemed there couldn’t be any more anywhere. Except they are very good at hiding. Today, still, I can be heard calling for my five year old to come pick up her beads. As we move about the house, they get kicked out from wherever they are hiding and still, we step on them. Every time we do, I count it as a lesson in patience. I practice not yelling, not despairing. I practice patience by waiting for the day that we won’t step on an other bead. Yes. They hurt about as much as those colorful tiny building bricks! 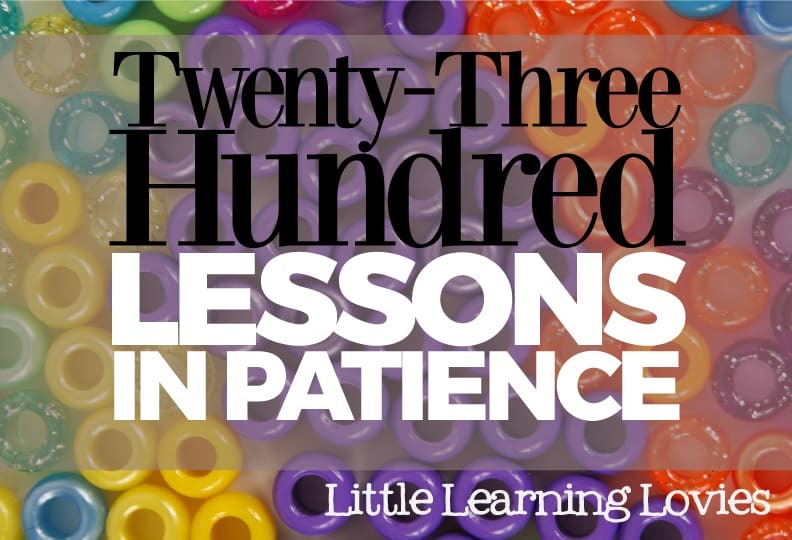 I practice patience by remembering that she’s little and accidents happen. I practice patience by not complaining much when she still pretends they are lost at sea and I find a new pile of them in the living room from her latest story. 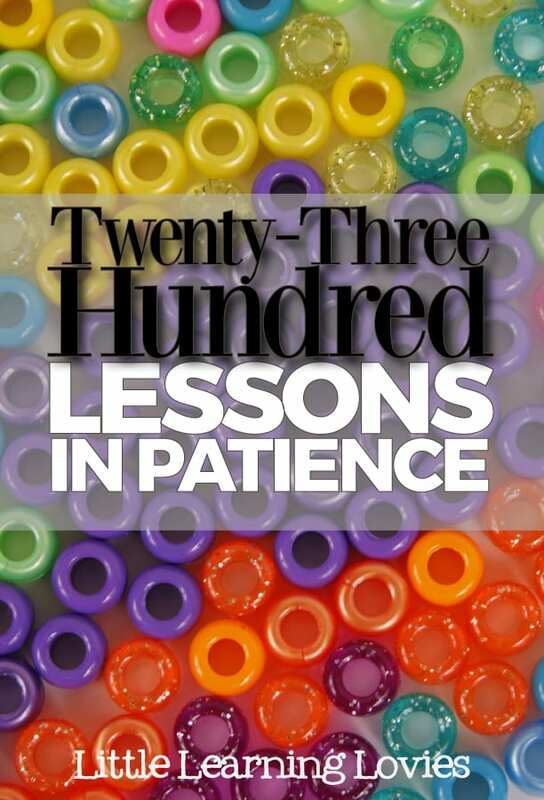 Do you feel like you need to practice being patient? If so, I do highly recommend allowing your four or five year old buy that lovely set of pony beads. You’ll know it as soon as you see it in the craft section. You may also want to invest in some of those lovely slippers with the thick foamy soles on them and a good broom. Although both of these items may reduce the efficiency of the lessons I don’t think they will hinder your progress in the long run. I loved this. We are learning patience through each tiny bead we pick up in loving service without complaint. Each time the siblings join in to help, they are learning to put aside self. And your daughter will learn to be careful, no doubt, but she’ll also learn to be gracious and gentle when others need help.